Reiner in THE WOLF OF WALL STREET. 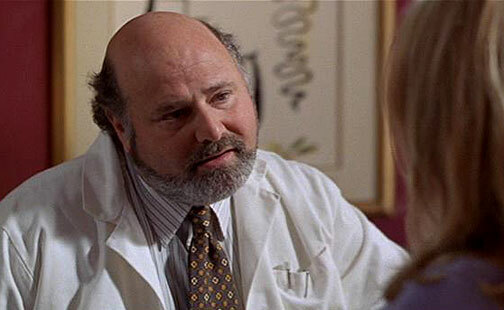 Rob Reiner was born on March 6, 1947 in the Bronx, New York. Best friend Billy Crystal and Reiner met when Crystal played Rob's friend in an episode of All In The Family (1971). 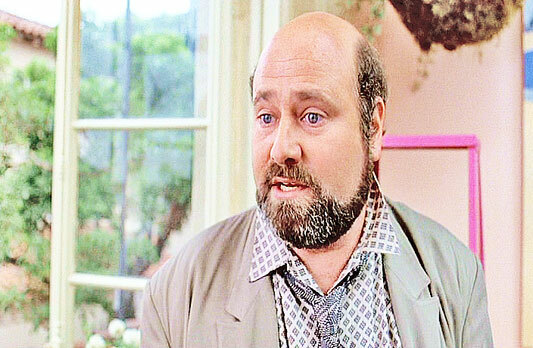 The first episode of Happy Days in 1974 was co-written by Rob Reiner. 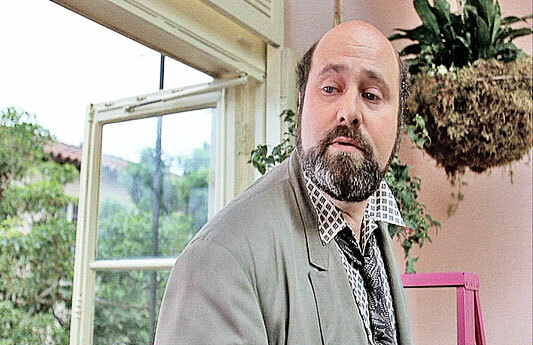 Rob Reiner produced, co-wrote and co-starred with ex-wife Penny Marshall in the TV movie More Than Friends in 1978, a romantic comedy based on the couple's own courtship. Rob Reiner co-starred in one of television's landmark shows, the sharp-tongued and culturally influential sitcom All In The Family (1971-78). 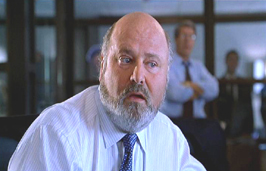 He was cast as the liberal son-in-law of bigoted Archie Bunker who referred to him as "Meathead". Reiner won two Emmy Awards. 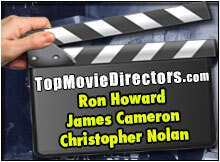 Reiner's first hit as a filmmaker came when he directed the mock rock documentary, This Is Spinal Tap in 1984. 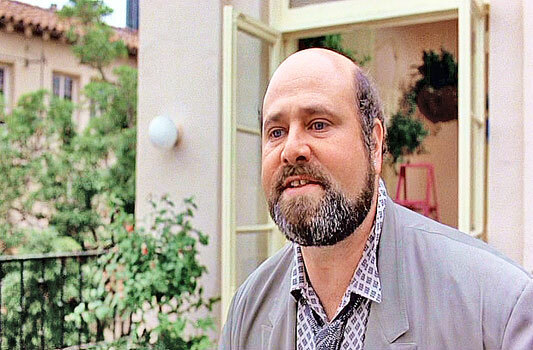 In 1999 Rob Reiner received a star on the Hollywood Walk of Fame, next to the star won by his father, Carl Reiner. The American Film Institute's list of top 100 U.S. love stories in 2002 includes three movies directed by Reiner: When Harry Met Sally (1989), ranked #25, The American President (1995), ranked #75 and The Princess Bride (1987), ranked at #88. Rob named his production company Castle Rock after a fictional town created by Stephen King. While filming the scene in Stand By Me (1986) in which Gordie and Vern are chased by a train, Reiner couldn't get Wil Wheaton and Jerry O'Connell to look frightened enough, so after a take, he yelled at them until they began to cry. He then filmed the scene over again. 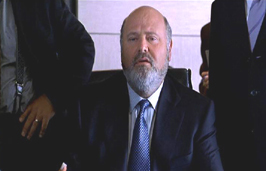 Rob Reiner in The First Wives Club (1996). 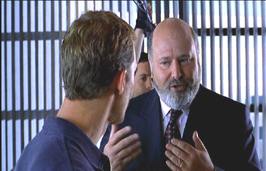 Rob Reiner in EDTV (1999). 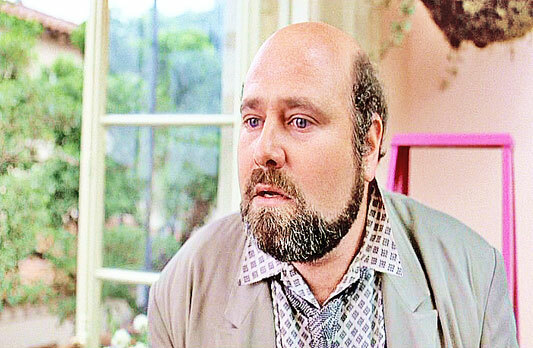 Rob Reiner in Throw Mama From The Train (1987).